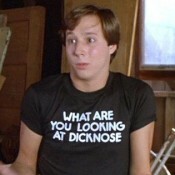 Expect Viktor Blom's secret identity to be revealed at the 2011 PCA. The 2011 PCA kicked off yesterday with the $100,000 NLH Super High-Roller event. A total of 38 entered, which is impressive given that most of the nosebleeders on Full Tilt can’t/won’t play in the event, and that the buy-in is one-hundred-freaking-thousand-dollars. Five places get paid, and the winner will bank $1.5M. After Day 1, 23 of the starting 38 remain. Tobias Reinkemeier of Germany is the chip leader, stacked at 896,000. 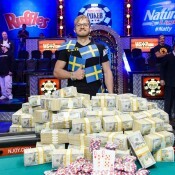 You may not remember Reinkemeier from his victory in last year’s EPT Monte Carlo $25,000 High Roller event. He’s followed by Daniel Negreanu with 848,000. Negreanu would need to finish in third or higher to overtake Phil Ivey on poker’s all-time tournament money winner’s list. Plenty of notables remain. 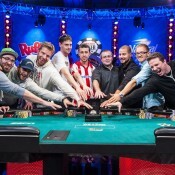 Among the bigger stacks are Nick Schulman (705,000), Daniel ‘jungleman12′ Cates (622,000), and Jason Mercier (459,000). Get full chip count here. 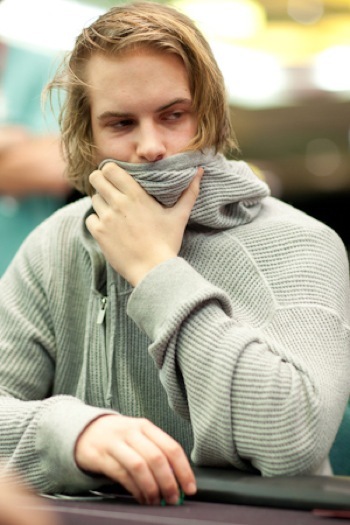 In semi-related news, Viktor Blom played the event, but was sent to the rail on Day 1. PokerStars is scheduled to reveal Blom (allegedly) as isildur1 at 7pm ET on Saturday. Watch for that announcement here. * Blom photo courtesy of the PokerStars Blog.